Alexandra Fraser grew up in Sonoma County and graduated from California Polytechnic State University, San Luis Obispo with a Bachelor’s of Science degree in Agricultural Science. 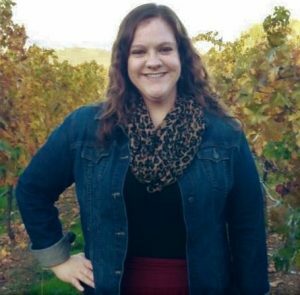 Being immersed in the wine industry from an early age, she yearned to pursue a career in wine production upon returning to Northern California after graduation. Alexandra has viticulture experience with Jago Bay Vineyards in Lake County and has held internships with Taft Street Winery in Sebastopol and Duckhorn Wine Company’s Waterfowl Production Facility in Hopland. More recently, she was the Laboratory Technician at historic Langtry Estate and Vineyards in Middletown. She is currently pursuing an Associates of Science Degree in Enology at Santa Rosa Junior College.